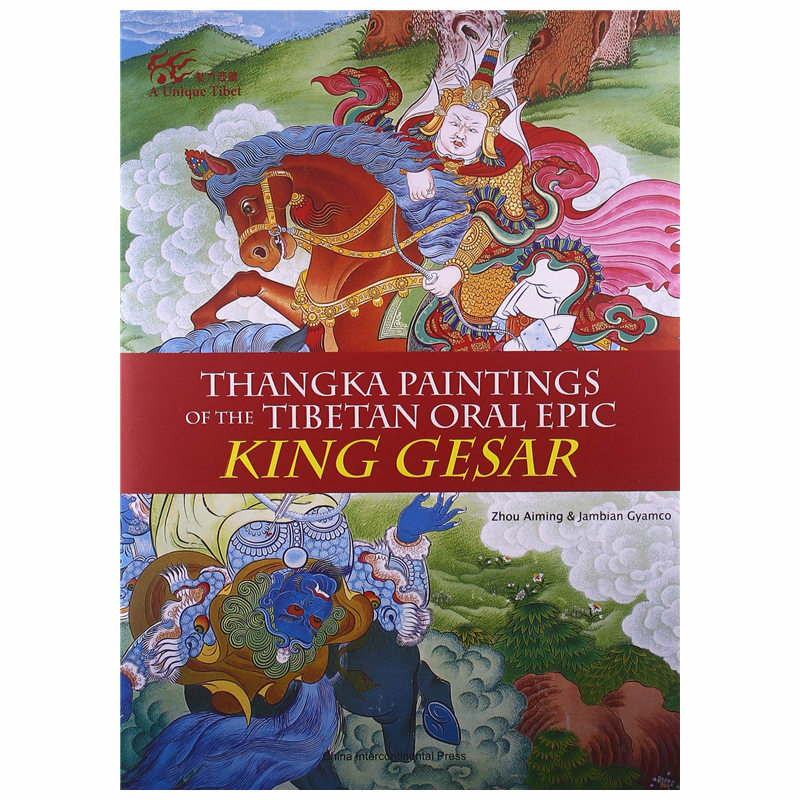 King Gesar is an oral epic widely sung and performed today by the broad masses of Tibetans. It has been preserved, spread, and expanded, with an ever-growing length and ever-enriched contents because of the balladeers, or “Zongken” in Tibetan. A Zongthang is a Thangka of stories about the epic King Gesar. The folk ballad singers painted stories of King Gesar and pictures of characters to make their performances more striking and to attract a wider audience. During their performance, they would hang the pictures and explain the plots shown on the Thangka. In the Tibetan inhabited areas of China, King Gesar is worshipped as the God of War, as well as the God of Wealth, by all nomadic people. The paintings and statues of King Gesar “are very popular in the Amdo and Kham Areas, and in the Dege Area, in particular, almost each of the families worships him as God”. All of the books about the life and deeds of King Gesar, whether hand-copied or woodcut, are equally worshipped and treasured. In those areas, people believe that keeping at least one copy of King Gesar at home can bring in fortune and dispel disasters. May this album good luck to the readers!